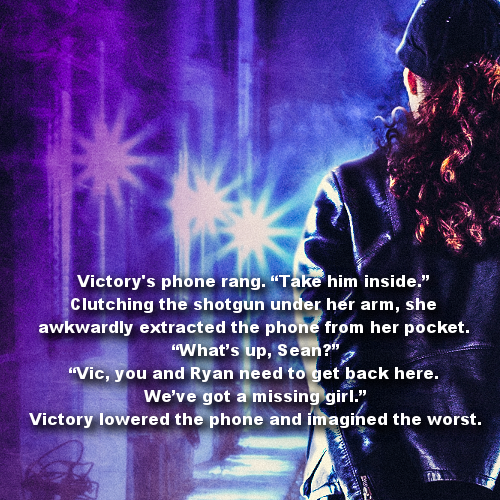 Consumed with grief over the tragic death of her husband, FBI agent Victory McClane is obsessed with finding Ohio’s serial killer, “The Wrapper”. Derrick has a secret: He’s a government assassin who uses his unusual paranormal skills to eliminate targets. Determined to keep his own secrets buried, he offers to help find The Wrapper. As the body count rises, Victory must cross a dangerous line—into a world of government cover-ups, murder, and betrayal—a decision that will test her limits. And everything she believes in. 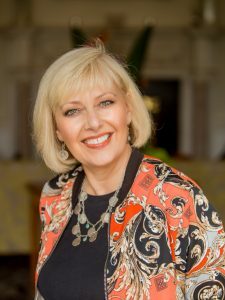 Kim Cresswell resides in Ontario, Canada and is the bestselling and award-winning author of the action-packed WHITNEY STEEL series. Kim recently signed a 3-book German translation deal with LUZIFER Verlag for the first three books in the series: Reflection, Retribution and Resurrect. The popular series will be published in German beginning in 2018/2019. Her romantic thriller, Reflection (A Whitney Steel Novel – Book One), has won numerous awards: RomCon®’s 2014 Readers’ Crown Finalist (Romantic Suspense), InD’tale Magazine 2014 Rone Award Finalist (Suspense/Thriller), UP Authors Fiction Challenge Winner (2013), Silicon Valley’s Romance Writers of America (RWA) “Gotcha!” Romantic Suspense Winner (2004), Honourable Mention in Calgary’s (RWA) The Writer’s Voice Contest (2006). Lethal Jouney won RomCon®’s 2014 Readers’ Crown (Thriller) and was a finalist in From the Heart Romance Writers (FTHRW) Golden Gate Contest. The Assassin Chronicles TV series is in development with Council Tree Productions, a feature film and TV production company located in Los Angeles, California. 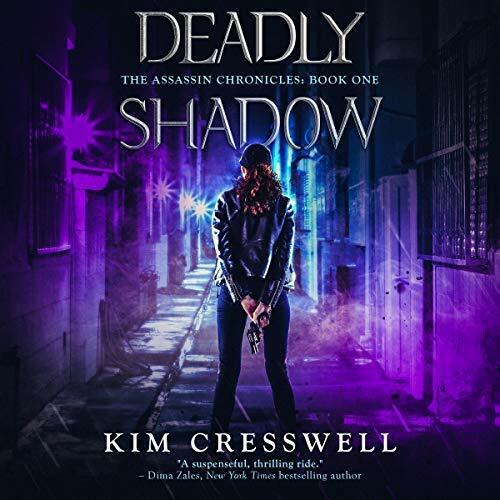 The TV series: THE ASSASSIN CHRONICLES is based on Kim’s upcoming 4-book paranormal/supernatural suspense thriller series: Deadly Shadow (published May 2018), Invisible Truth, Assassin’s Prophecy, and Vision of Fire. Robin Siegerman was trained as an actor by the acclaimed William Esper in New York, vocally trained by Albert Hague, a Tony award-winning, Broadway composer, and trained in speech and dialects by dialect coach to the stars, Timothy Monich. Robin has a wide range of voices, accents, dialects and characters to give voice work color. Noteably, in the spring of 2018, she was nominated for the narration of the WWII documentary Harry’s Story in the Best International Performance category at the One Voice Awards in England. Robin also has extensive on-camera experience as a spokes-person for a series of corporate training videos; a decor expert on various TV and radio broadcasts; a frequently requested keynote speaker at home and consumer trade shows, libraries and private industry events; has hosted her own internet radio show; wrote and voiced a daily home renovation information series for radio; and wrote and voiced a regular feature on green living radio. 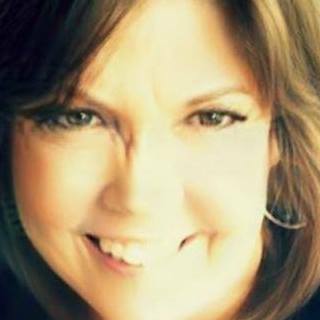 Currently Robin writes & produce promo videos with VO for small to medium size businesses, along with narrating audiobooks from her broadcast-quality home studio. Wow this looks like its going to be a great series Victory MacLaine is chasing two serial killers. This starts as a crime who done it, as we follow the Victory and Ryan as they look for clues. Things start to get more exciting, as its starts getting Paranormal. This had all my favorite ingredients serial killers, crime, paranormal and government corruption. This kept me glued my earphones and I can’t wait to get book two. I not saying anymore on the plot. I let you find out for yourself. The narration is excellent, great production, great touches that made it more real. I received this audiobook as part of my participation in a blog tour with Audiobookworm Promotions. 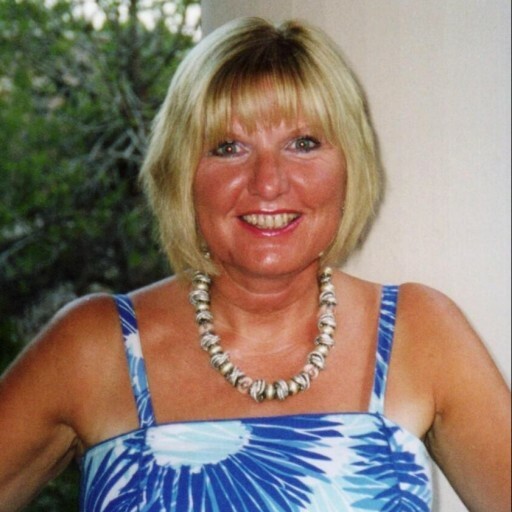 The tour is being sponsored by Kim Cresswell. The gifting of this audiobook did not affect my opinion of it. I’ve been performing for most of my life and trained as an actor in NYC. Life took me in many different directions, but I ended up in voice acting a few years ago when I was asked to perform in a radio documentary and play a well-known and beloved children’s book character on a national radio broadcast. Then I was hooked on voice acting! I moved into audio books because it is the ideal medium for an actor: I can do it from home in my broadcast-quality recording studio and I get to play all the parts! I don’t think one has to have a specific theatre background, but an audiobook narrator must have had acting training. Really, it should be called an audiobook performer. Because that’s what happens when we narrate. We are telling the story, but we are acting out all the parts, and even the narrator is a character, so all the acting principles of preparing and analyzing a script, preparing characters, story arc, emotional build and peak apply. What type of training have you undergone? I was so lucky to study acting with William Esper in NYC. Some of his notable alumni are Amy Shumer, Kathy Bates, Mary Steenburgen, Jeff Goldblum, John Malkovich and others. I studied voice with Albert Hague, a Tony award-winning Broadway composer (who also wrote the music for the Classic animated film The Grinch Who Stole Christmas), and speech with Timothy Monich, who is the go-to dialect coach of Hollywood Stars. 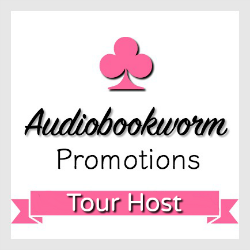 Are you an audiobook listener? What about the audiobook format appeals to you? I LOVE listening to audiobooks! Not only do I love it as a pass time, but it is essential for every narrator to listen to them on a regular basis. It’s important to hear what some of the best narrators in the business are doing and listen and learn from their techniques. I do quite a bit of driving, so I love to listen while I drive or do other chores that are time consuming, like gardening. What are your favorite and least favorite parts of narrating an audiobook? My favorite part is the actual narration. But there are a lot of other responsibilities a narrator has that a listener doesn’t usually know about: proofing the recording, editing and correcting mistakes, and mastering, which is the technical process to make the sound consistent and free of extraneous noises. All of that is very painstaking and not as much fun for me as narrating. One finished hour of recording can take up to 8-10 hours to produce. It’s not as easy as I hope we make it sound! Is there a particular genre you feel unsuited for? Have you ever declined a project because you didn’t think you were right for it? I have turned down a memoir and there are very few of them that I would consider. The ease with which anyone can self-publish a book means that sometimes, those that write their own memoirs, really are not that compelling to me, so I wouldn’t be able to do it justice. I have to love the story to narrate it effectively. What about this title compelled you to audition as narrator? The story of Deadly Shadow sounded exciting and urgent, and it is! Both of those qualities in a book make it stimulating for me to narrate. And at the end of the day, I want to be proud of the book I am associated with. I view the relationship between author and narrator as a collaboration. The author writes the story and I, as the narrator interprets that story and brings another dimension and richness to the story and characters with my voice and emotions. Sometimes in a book there are people’s names, place names or historical/geographical references that I’m not familiar with, so I have to do some research before I start narrating. In some cases, I can’t find what I’m looking for, so I have to send a list to the author to get their help. Also, I find it helpful if the author lets me know if there is something specific they have in mind for the interpretation of a character, so I can weave that in to the performance. I want to fulfill their vision and intent, but ultimately, I bring my own artistic vision to complete the circle. 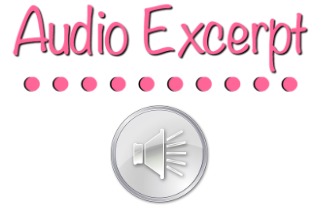 How does audiobook narration differ from other types of voiceover work you’ve done? Audiobook narration is far more physically demanding than most other types of voiceover work because you sit alone in a recording booth, which is a very confined space, and read out loud for many hours every single day. It’s hard on the vocal chords and on the body, because although I’m sitting (some narrators stand, which would be very tiring), I have to be physically expressive to convey the emotions of the character, without making any sound whatsoever other than speaking, so the movements have to be extremely controlled. A narrator becomes hyper aware of their own stomach grumbles, mouth noise, clothing noise and chair shuffles or squeaks, which must not intrude into the recording. It’s very tiring. Do you read reviews for your audiobooks? Yes I do. Fortunately, I haven’t had many negative reviews, but they can be very instructive, if they are constructive and not destructive. A listener who is just mean, doesn’t help me at all, and of course it’s hurtful. I think a lot of people who leave a negative review never realize there is a real person with feelings on the other side of the screen. I’d like to think that if they were telling me what they thought to my face, they would be honest, but diplomatic. We seem to have lost the art of diplomacy in typing. And of course it’s wonderful to know when a listener has really enjoyed the story and the narration. It helps me with future books to know what connects with listeners and what doesn’t.